The newest addition to the KA-BAR/Johnson Adventure® knives, the Parangatang, is the ideal field companion. 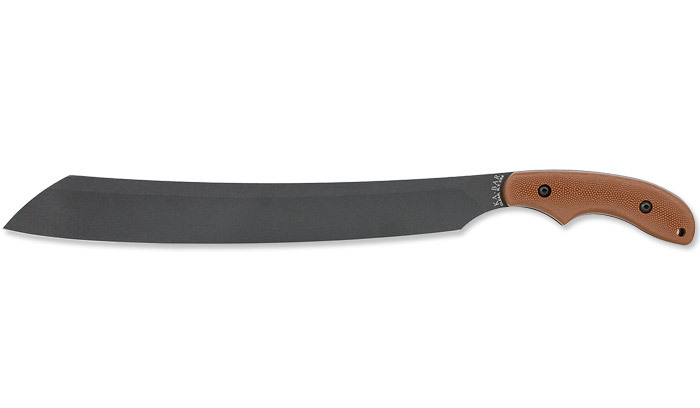 This parang-style machete features a 14-1/8" 1095 Cro-Van steel blade and the Adventuregrip™, multi-position handle made popular by other full-size Adventure® knives. Comes with Cordura® sheath and Adventurecord paracord.